I’ve still been dutifully tracking my net worth month over month. I’ve been terrible, however, at posting it publicly. The story’s getting more complicated, which is why I’ve had a hard time committing numbers to the world. Since it’s been so long, I’m comparing October’s numbers with what it was 1 year prior. I now have a “house” added to my assets. I’ve also added “car” to my assets as I have the corresponding joys of “loan for said car” and entirely intend to sell car should it prove to be more hassle than benefit. “Savings” and “Checking” look straightforward but they are also more complicated as they’re budget categories hiding several different savings and checking accounts. I closed local Massachusetts savings accounts and opened new Rhode Island accounts as I’m making my new state home (and banking small + local!). In the nonsense category – I’ve got a big ol’ mortgage. Hooray?! I’ve also got a $6,000 personal loan hanging out. To ensure we had enough cushion for the house, we borrowed money from a relative. That will be paid back by the end of this year. 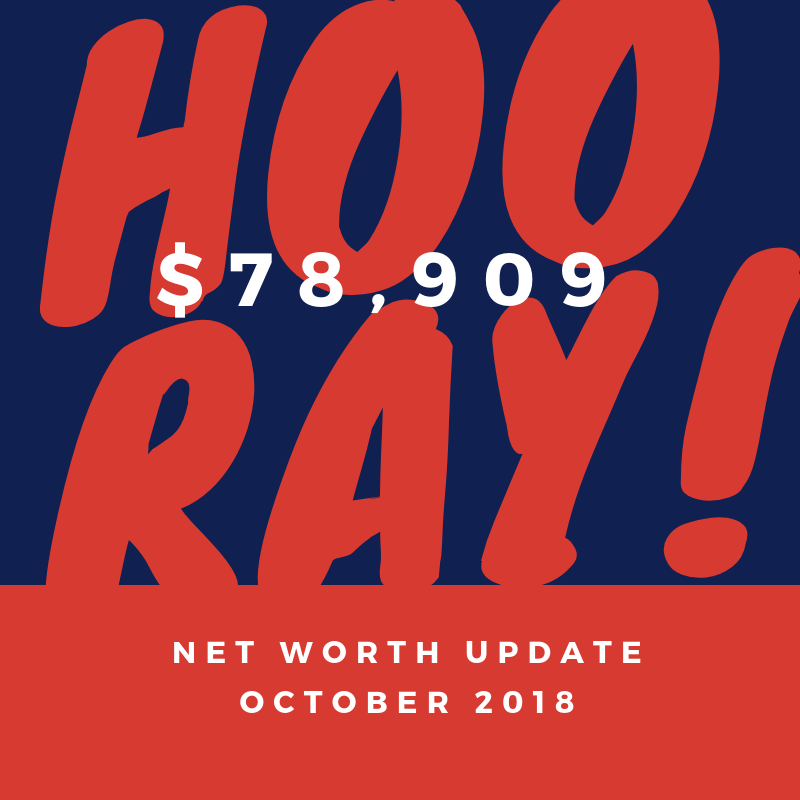 After 1 year of hard work – my net worth hardly budged. Gaarrrg! But not super “gaarg” as I knew buying a house would be a lot of money up front. I expect in the next 12 months to finally start seeing some returns in shifting rent costs into mortgage, car, property maintenance, other buckets of bills. Please don’t ask me for details about my income and expenses related to the house. It’s a raging dumpster fire right now, fueled by good intentions and lack of time to execute. I know that: 1. I’m bringing in money in rents and 2. I’m spending a lot of money on maintenance and upkeep and capital improvements. Precisely how much of #2 is in my life, I don’t know right now (see last post regarding being tired all the time). But it feels like too much. Much too much. But, I keep needing to call service providers to do things like annual servicing and cleaning of my furnaces, so I haven’t gotten around to it yet. I need a pro to help me properly set up my chart of accounts and set the parameters of my online accounting system so I can happily and readily answer questions about how goes my profit and loss statement for the rentals.